What does it take to run down a dream? The answer to that question becomes post number four of my gratitude series. The dream of a young girl, perched inside the barky womb of her favorite elm tree. Adolescent limbs swinging from an upper branch. Book opened. Devouring words and dreaming of becoming an author. Parents who turned off the TV and encouraged more reading. Straight A’s in every language arts class in college. Math? Not so much. An achievement test that declared I should become a novelist. Notebooks and diaries filled with the detailed debris of my life. The dream faded as the responsibilities of life interfered. Still, I chased the dream in early morning paragraphs or late-night stories, submissions every week to magazines (the old-fashioned way of sending documents by mail with a self-addressed stamped envelope), multiple rejections, then more rejections. Why writers fear rejections is a mystery to me. I have always felt they were part of the process, like the chef who bakes multiple cakes until he discovers the perfect recipe. So I accepted those rejections, learned from them and immediately sent out a corrected version to another magazine. Then a writers conference, meeting full-time creatives, the dream’s fire stoked and flaming brighter. More submissions and publications that finally confirmed the dream was shared by others. Those in the know actually saw my work, believed in my mission, appreciated my words and glory be – paid me! Now as 2018 winds down, 11 books bear my byline. 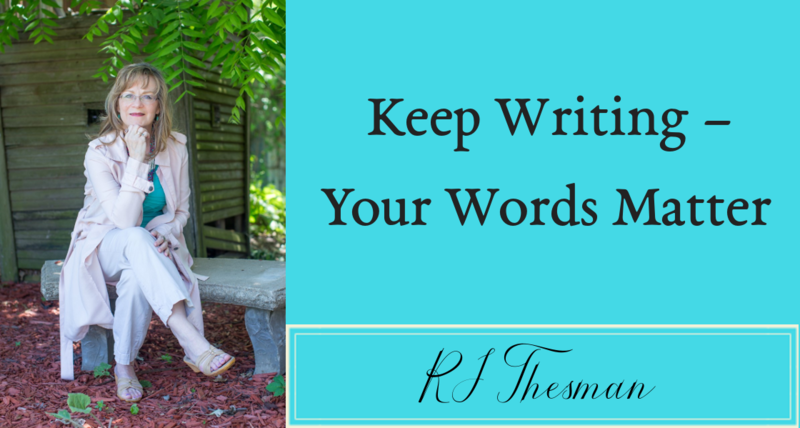 My days are filled with book launches, speaking events, posting on this blog, coaching other writers who share the dream and always – always finding more words for the book projects I still long to write. The world of a writer is not always an easy journey. This post has glibly shortened over 40 years of learning the craft and persevering toward the dream. But I still begin and end each day with words, either a project I’m working on, edits for another writer or the raw sentences that fill my journals. I am so grateful for the opportunity of free speech, to pen my thoughts and send them into the world, to scribble the phrases that confirm my purpose in this world. What does it take to run down a dream? A marathon of hope and approximately 40 years. Check out my novel, No Visible Scars, which required only 12 years to write.